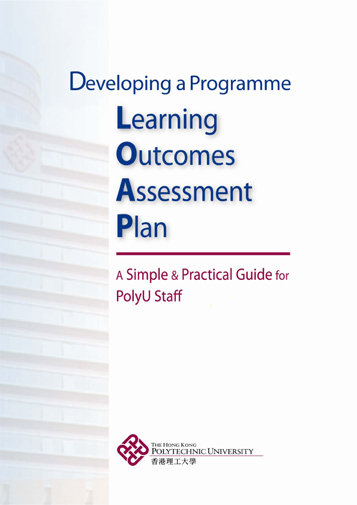 This Guide has been written for programme leaders and other staff members who are likely to have key involvement in developing a programme learning outcomes assessment plan (programme LOAP) at PolyU. 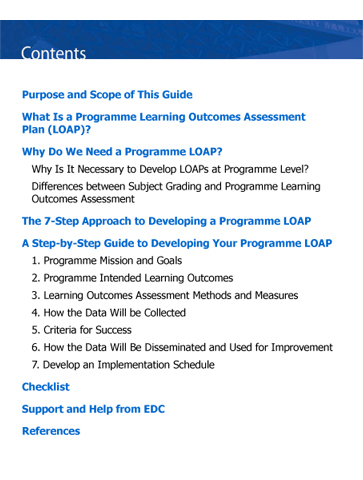 It offers a simple explanation of and practical tips on what you can do to develop your programme LOAP. It is intended to be a guideline, with some suitable examples, rather than to be prescriptive.